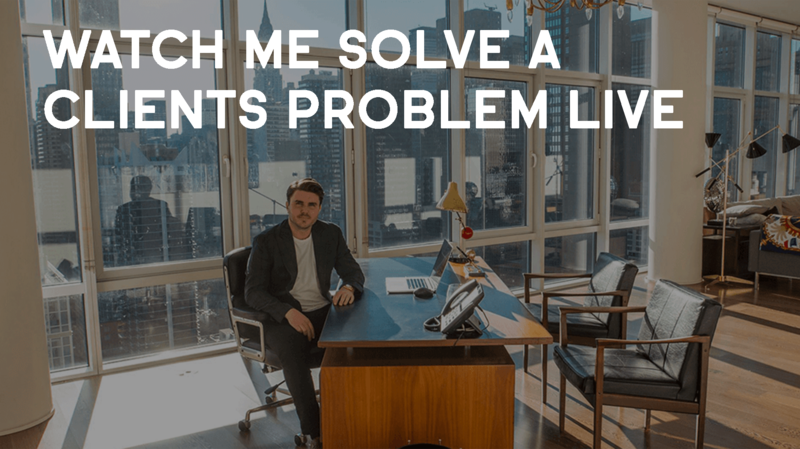 Watch Me Solve A Clients Problem LIVE! Want to see how I diagnose a clients problem and drill down to the root cause of the issue while ignoring interference? Watch this! Want to get the worlds best training on how to start and grow your consulting business? Learn more about the Consulting Accelerator program here.